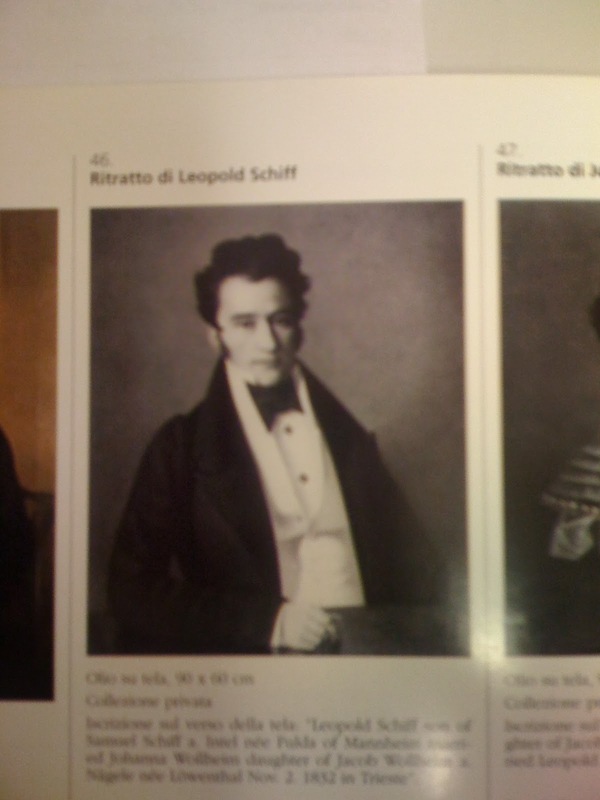 Leopold and Johanna's second child, again a daughter, was born in Trieste on 28th July 1837, and was named Giustina. Raised and educated in Trieste, at the age of 26 she married Julius Rodenberg in Berlin, where she lived for the rest of her life. Julius Rodenberg (26 June 1831, Rodenberg, Hesse - 11 July 1914) was a German Jewish poet and author. He studied law at the universities of Heidelberg, Göttingen, Berlin, and Marburg, but soon abandoned jurisprudence for literature. In 1851 his first poem, "Dornröschen", appeared in Bremen. This poem was soon followed by many others. Between 1855 and 1862 he traveled, visiting Great Britain, Belgium, the Netherlands, Denmark, Italy, and Switzerland. In 1859 he settled in Berlin. Rodenberg wrote the libretto to Anton Rubinstein's opera, Feramors. From 1867 to 1874 he was coeditor with Ernst Dohm of the "Salon für Literatur, Kunst und Gesellschaft", and in his latter years he founded the Deutsche Rundschau. In 1897 he received the title "Professor". Rodenberg is a prolific writer. Giustina, whose name became germanicised as Justina upon her marriage and removal to Berlin, appears to have supported her husband in his literary work and in his literary circle in Berlin. We have a clue to this in the correspondence with Count Angelo de Gubernatis, a philologist and student of Sanskrit who studied in Turin and Berlin. As a poet he must have enjoyed the company of Julius Rodenberg, but the fact that Rodenberg's wife Justina was Italian speaking must have been an additional attraction. The eighteen letters that she wrote to de Gubernatis between 1873 and 1892 are now National Central Library in Florence. 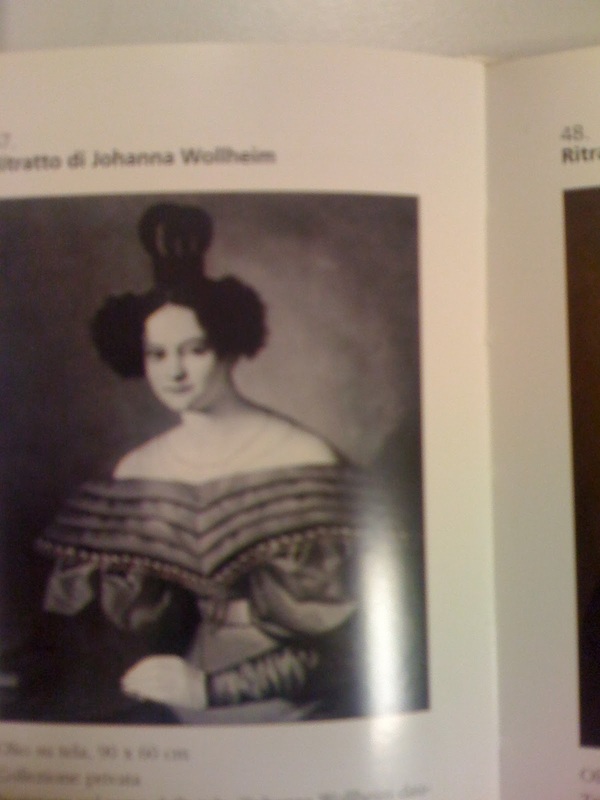 It is possible that Giustina met Julius during his travels in Europe between 1855 and 1862. Married in Berlin in 1863, their only child, a daughter, Alice, was born on 21st May 1864. Julius Rodenberg died on 11th July 1914 shortly before the outbreak of the First World War. The war broke the family networkof the Schiffs. When Giustina's brother Ernest died in London just days before the end of the war, his will left her some money which could not be transferred because of the breakdown between the two empires. His legacy was to Giustina in Berlin, and to Jenny in Hamburg, and after their deaths to Giustina's niece Alice, who had married a Noehring, and on Alice's death the whole funds involved were to go to Alice's son Richard Noehring. These siblings who had grown up together in Trieste had a closeness that survived their dispersal far and wide across Europe and America. Giustina died in Berlin on 8th December 1823. Because she left estate in England through the legacy from her brother Ernest letters of administration were granted to Richard Nohring. From this we knowthat her home in Berlin was at Margaretenstrasse 1. We have no knowledge now of Richard Noehring, and if he had any descendants. 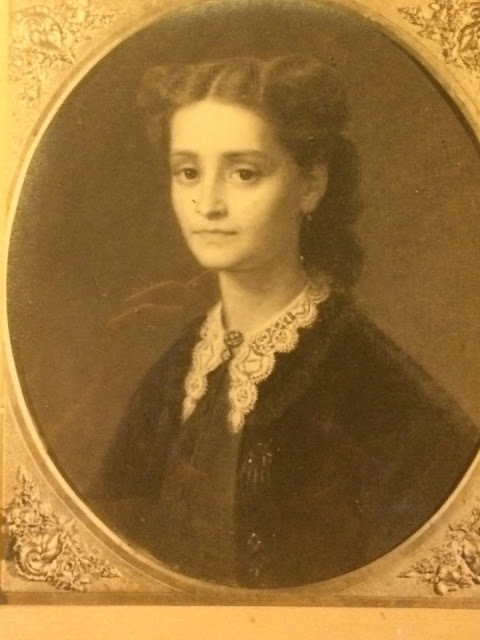 Both Giustina and her husband were born to Jewish parents but both were typical of the process of assimilation demonstrated by European Jewry after emancipation. 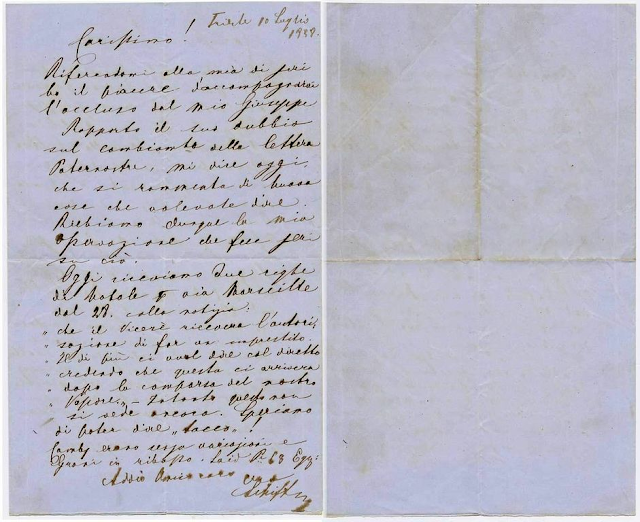 Julius was advised in 1853 by his friend Varnhagen van Ense to change his name from the very Jewish Levy. Two years later the formal adoption as a surname of the name of his birthplace, Rodenberg, was formally accepted by the Elector of Hesse-Kassel. Curiously it is stated that he never converted to Christianity despite possessing a ' Christian soul'. Just as curiously, German sources also state that when he married in 1863 it was to the Roman Catholic daughter of a wealthy Trieste factory owner. This is surprising, and needs examination. Did Giustina abjure her Jewish faith whilst in Trieste? Her youngest brother Eduard followed this route when he went to Vienna. Did Giustina really convert to Catholicism? It seems unlikely, but evidence may survive in Trieste. Where did Julius and Giustina marry? Was it indeed in Berlin, rather than the more likely Trieste? I wish the Jewish community of Trieste would allow a simple examination of the records. When their only child was born in 1864 there is no indication of her religion, but it seems that this daughter was baptised as a Protestant by Herman Von Soden in 1880 when she was sixteen years old. Von Soden was an important New Testament scholar. Their daughter Alice married Major Paul Nohring in 1898, and went with him to Strasbourg. Two years later son Julius Paul Richard Nohring was born. Known as Richard Nohring, it was he who inherited from his grandmother's cousin, Sir Ernest Schiff, in London in 1923. I believe this Richard Nohring may have died in the United States in 1968 leaving a widow. Berlin, W. Margarethenstr. 121 März 1878. Berlin, W. Margarethenstr. 1. 15 October 1878.
den Roman und für die Scherer'sche Recension. daß sie zur ganzen tragischen Wirkung kommt. auch eine Muse, welche Manchem fehlt. vorzunehmen, über welcher die Hauptsache verdunstet. alles Gute wünsche, Fleiß, Appetit und Lebenslust. Amen! verursachte, nicht in seiner ganzen Größe bestehen lassen wolle!